Men's Dress Socks 6 Pairs Just $7.49! Ships FREE! You are here: Home / Great Deals / Christmas Deals / Men’s Dress Socks 6 Pairs Just $7.49! Ships FREE! Men’s Dress Socks 6 Pairs Just $7.49! Ships FREE! Because you can’t have Christmas without socks! 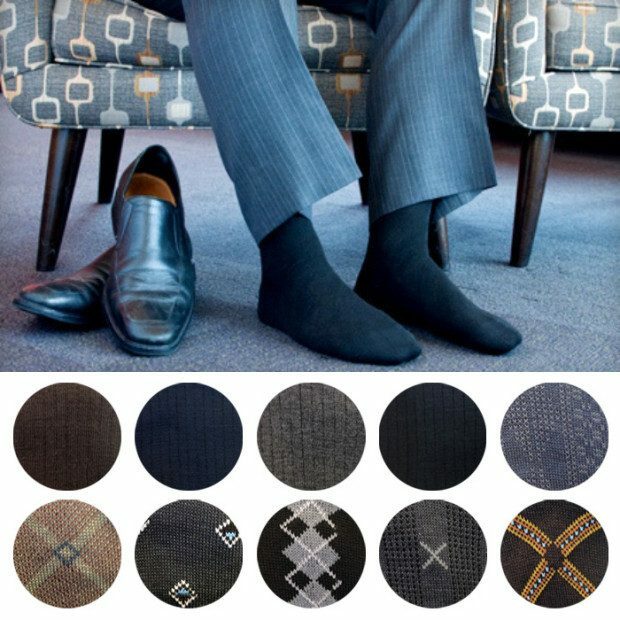 Order the Men’s Dress Socks 6 Pairs for Just $7.49! Choose Solids or Patterns! Shipping is FREE! Whether spending the day in the office or simply relaxing, you’ll find quality men’s dress socks to complement any outfit with these six pairs of socks . All of the colors you need to round out your wardrobe and complement any men’s dress pant, from basic men’s black dress socks to prints and more!